Wednesday, April 3, 2019, 12:00 P.M.
Special Meeting: MONDAY, JANUARY 7, 2019 10:00 A.M. The September 5th board meeting has been cancelled due to the upcoming holiday. A new date and location will be announced soon. A Special Meeting of the Board of Directors of the Connecticut Port Authority is scheduled on Wednesday, May 23, 2018, at the Office of the Secretary of State, 30 Trinity Street, Hartford, CT at 12:00 noon to take up the matters and transact the business set forth on the attached Agenda. Connecticut Port Authority legislation available here. 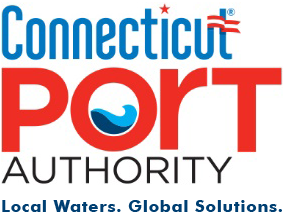 Connecticut Port Authority Bylaws available here.